So its 2019 and I continue to work and try to improve my SLW. I am starting to hatch right now in January..which I was unable to do last year, so I believe I should have a good year showing this fall. 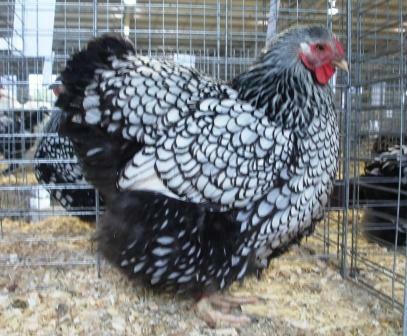 Last fall my birds just were not mature enough compete..heck I was shocked to have RV at the Ohio National. I only attended the one show last year....but plan on hitting more shows this year. I am working on round thinner lacing this year. 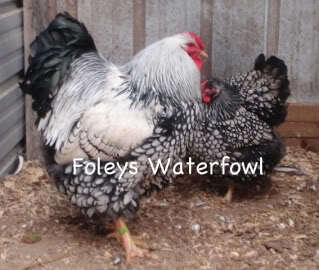 In a normal hatching season I will hatch and grow out 100 SLW chicks, however in a moment of weakness in 2013 I decided to grow out over 300 SLW large fowl chicks, trust me you don't want to ever do that. 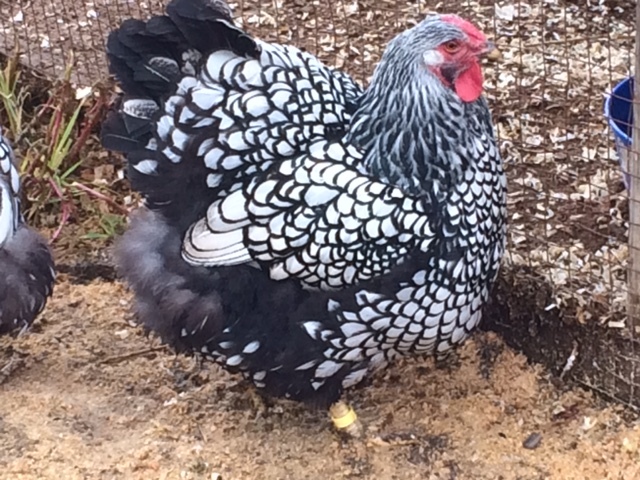 I did get a nice bump in the quality of my birds by doing it....I ended up keeping 5 cockerels and 10 pullets from the 300, I have to admit they are the best I have ever raised. 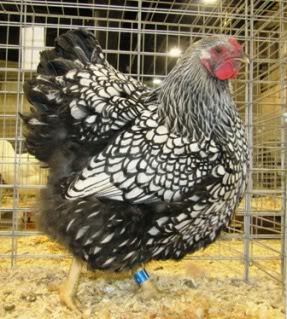 I do pretty well at the Poultry Shows with my SLW, I combined 4 different lines of SLW about 10 years ago to develop the type and lacing that I favored. 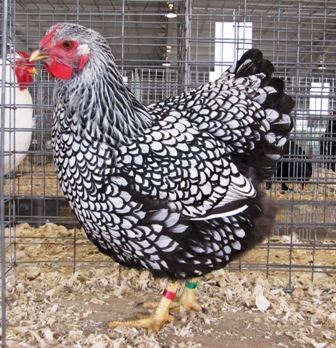 I have also recently worked with a strict pullet line that gives me nice round clean colored lacing in my pullets..these do very well at APA Poultry Shows for me. I do sell SLW day old straight run chicks in the spring, I normally compile a list of names in the fall for my chick list. 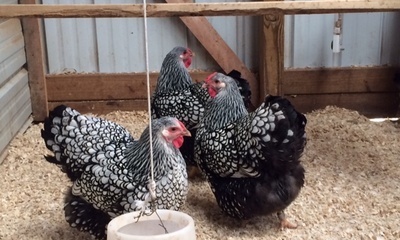 So you can contact me about SLW chicks. I also sell Adult Stock for show or breeding, I can ship as weather permits...however during the summer you would need to pick them up at my place. 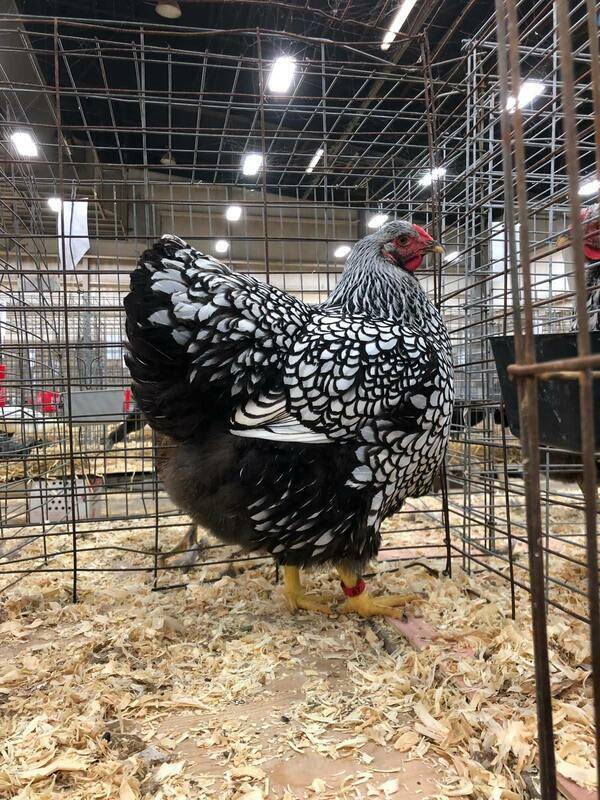 ​I have been having some fun with this 2015 Pullet, I entered her two shows this fall and she did well. Reserve Champ. 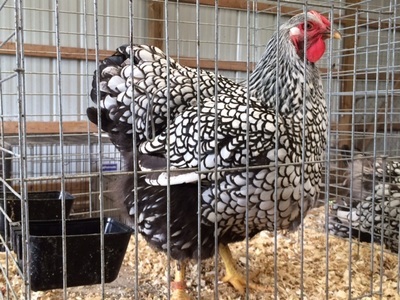 American, Best of Breed, and Best Variety at the White River Poultry Show. 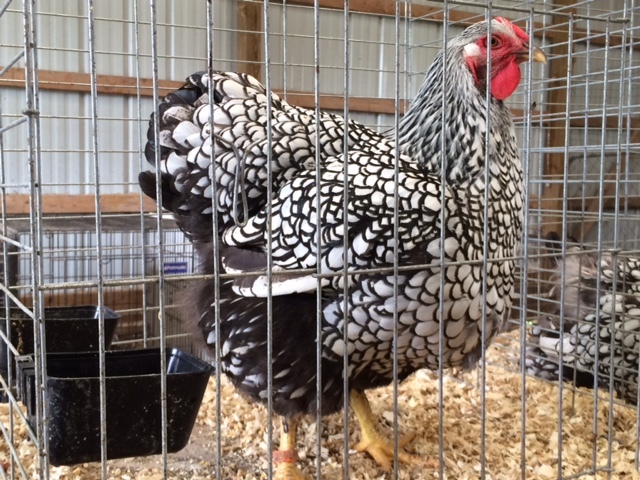 Reserve of Breed and Best Variety at the Wyandotte Nationals at Central Indiana Poultry Show. Also had Champ ion Wyandotte Display with my SLW at the Wyandotte Nationals. 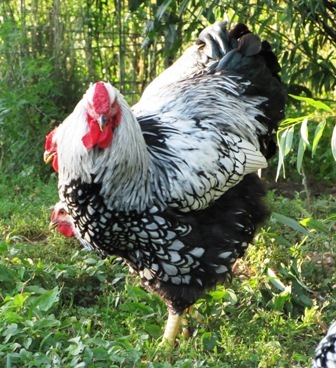 ​Then not to be out done...is this 2015 Cockerel who keeps placing behind the pullet with Reserve of Variety two times in a row.